Disregarding previous court orders and unmindful of the June 9, 2017, verdict of Justice A K Sikri-headed bench of the Supreme Court on 12-digit biometric Unique Identification (UID)/Aadhaar, Dr Sajjan Singh, Assistant Registrar (Evaluation), Jawaharlal Nehru University (JNU), has failed to modify a circular dated April 20, 2017, on the subject of “inscription of Unique ID/Aadhaar number and photograph in marksheets and degree certificates”. The circular referred to a letter from the University Grants Commission (UGC) in this regard. It is a case of UGC and JNU refusing to comply with the court’s verdict. 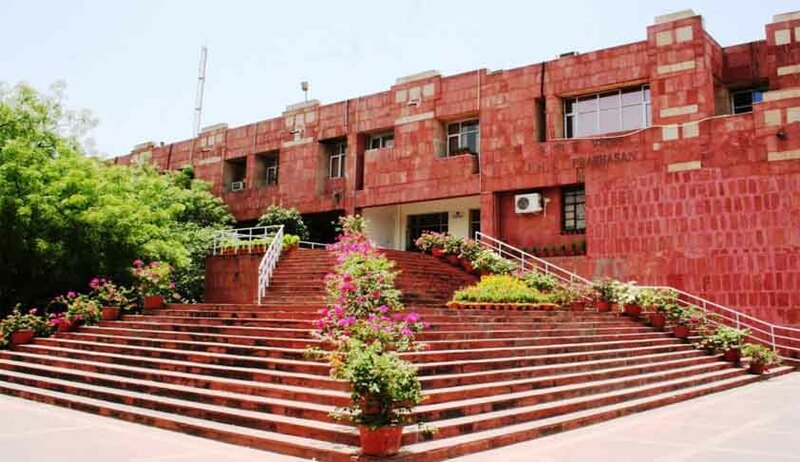 The case of Shehla Rashid, former vice-president of the JNU Student Union, being denied submission of her M Phil dissertation in the absence of UID/Aadhaar number demonstrates how UGC, JNU and other ‘welfare agencies’ are showing total disregard towards the court’s verdict. After its circular making UID/Aadhaar number mandatory was challenged, the UGC had “clarified that any student who have applied or wishing to apply for scholarship/fellowship shall not be denied benefit thereof due to non-availability of Aadhaar No./Card”. The revised public notice was issued on September 14, 2016. The earlier circular of UGC was in manifest violation of the court’s order. The current circular, dated April 20, 2017, from JNU administration draws on a UGC letter dated March 21, 2016. A communication from UGC dated 26 July, 2016 states, “The bank account number seeded with Aadhaar should be mentioned on the portal.” Notably, both these circulars on which the JNU circular is based are of the period in which even the Aadhaar (Targeted Delivery of Financial and Other Subsidies, Benefits and Services) Act, 2016, was not in force. It came into force after its notification in the Gazette of India on September 12, 2016. Therefore, the circular is illegal and is in violation of the court’s order. Authentication, which means that biometric or demographic data can be sent to the UID's CIDR (Central Identities Data Repository) to return a `yes/no' reply to the question ‘whether you are who you say you are’. eKYC, which does something they had said they would never do, viz., give the data on their database (except core biometric data - but they have no means of stopping any agency from collecting and keeping biometrics when it is given for authentication) to an authorised service agency. Section 8(2) (b) of the Act is categorical that an agency requesting authentication "ensure(s) that the identity information of an individual is only used for submission” to the Central Identities Data Repository (CIDR) of 12-digit biometric Unique Identification (UID)/Aadhaar Numbers “for authentication". It does not authorise anyone to hold on to the number. Therefore, seeding the UID/Aadhaar number by the UGC and JNU is itself beyond the law. It is an established constitutional norm that the last order of the Supreme Court is the law of the land. The UGC and JNU have failed to take note of the verdict of the Supreme Court dated June 9, 2017. This verdict states: “It is clear that there is no provision in the Aadhaar Act that makes enrolment compulsory. Maybe for the purpose of obtaining benefits, proof of Aadhaar card is necessary as per Section 7 of the Act. Proviso to Section 7 stipulates that if an Aadhaar number is not assigned to enable an individual, he shall be offered alternate and viable means of identification for delivery of the subsidy, benefit or service”. It categorically states “thus, enrolment under Aadhaar is voluntary” at paragraph 90-91 (page no. 105-106) of the 157-page verdict. In the light of this verdict, there is a logical and legal compulsion for all governmental and non-governmental institutions to ensure that all further activities relating to collection/ feeding/ seeding of Aadhaar number being undertaken currently should be suspended with immediate effect. In other words, henceforth no more mandatory collection of Aadhaar numbers for feeding/ seeding of collected Aadhaar data is permissible. In order to comply with the court’s order in letter and spirit, all central, state, public and private agencies that are implementing UID/Aadhaar-related schemes and systems are under a legal obligation to issue orders in this regard. Following this verdict, no person can be deprived of any service for want of UID/Aadhaar number, in case he/she is otherwise eligible/ entitled. All the authorities are directed to modify their forms/ circulars/ likes so as to not compulsorily require the Aadhaar number, in order to meet the requirement of the verdict. It must be noted that whenever circulars and letters of central and state government agencies have been challenged and contested, they have consistently withdrawn their circulars and letters. Following the Supreme Court’s verdict on August 4, 2017, the Justice AK Jayasankaran Nambiar bench of the Kerala High Court issued an order allowing transaction of business by the petitioner without UID/Aadhaar number. In a related development, the Union Ministry of Defence issued an Extraordinary Gazette Notification No.S.O-747(E) dated March 3, 2017, published in the Gazette of India, dated March 6, 2017, concerning military pensions, in which it stated that “an individual eligible to receive the pension benefits is hereby required to furnish proof of possession of Aadhaar number or undergo Aadhaar authentication”. When Major-General (Retd) SG Vombatkere challenged it, the Justice AS Bopanna bench of the Karnataka High Court passed an order on April 27, 2017, directing the government “not to insist upon Aadhaar card or proof of application for issue of Aadhaar card for the purpose of disbursing military pension to the petitioner, if he is otherwise entitled to receive such pension”. Even the high courts of Jammu & Kashmir and Andhra Pradesh have passed orders in pursuance of the Supreme Court’s orders, thus, it might be useful if all the concerned high courts take suo motu notice of non-compliance of the verdict by UGC, JNU and other central and state and non-state agencies to set matters right in order to protect the fundamental rights of students and citizens. revised Public Notice issued on September 14, 2016 has been withdrawn. Thus, the validity and legality of the 21stMarch, 2017 is questionable in the light of the 9th June verdict of the Supreme Court. The author is member, Citizen’s Forum for Civil Liberties (CFCL). He had appeared before the Parliamentary Standing on Finance that examined and trashed the Aadhaar Bill, 2010. He is the editor of www.toxicswatch.org.